The rectangular shelves add unique contemporary style to this bookcase. Finished in cappuccino, the various size of shelves provide a visually appealing way to store items and accessorize with accents. 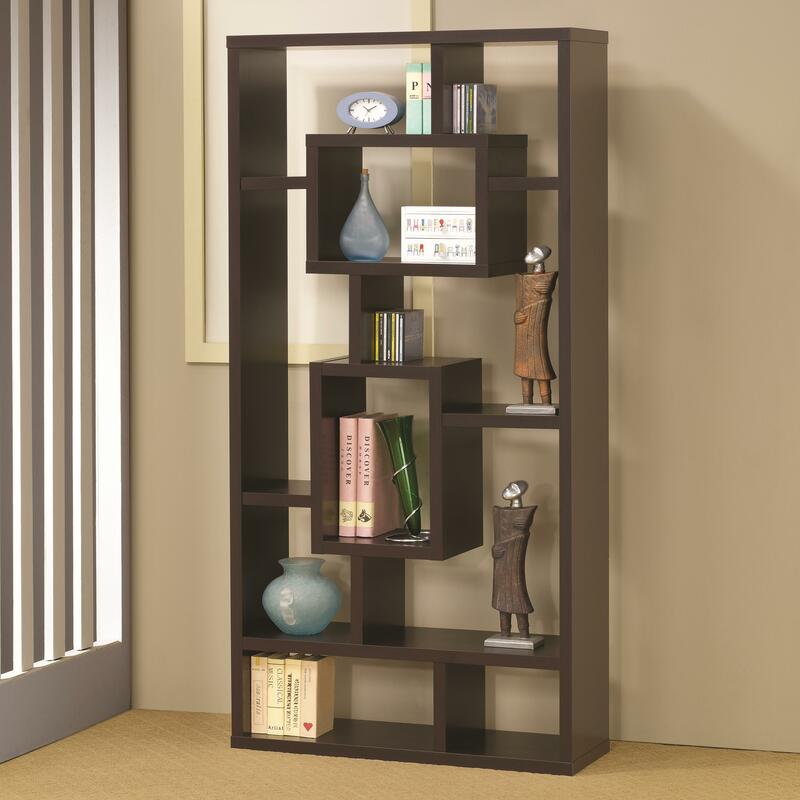 Dress up the look of a wall in a living room or home office with this stylish bookcase. The Bookcases Cappuccino Bookshelf with Rectangular Shelves by Coaster from Nashco Furniture - Nashville. We proudly serve the Nashville, Franklin, Brentwood, Clarksville, Green Hills, Davidson County, Williamson County, Tennessee area. Product availability may vary. Contact us for the most current availability on this product.